Karl Lagerfeld‘s name has been constantly mentioned in the news chronicles since the beginning of the new fashion season. Having launched new collections during the past fashion weeks and having started the “tour” of the Little Black Jacket exhibition, the designer regularly appears on television, expressing his views on a variety of subjects – from fashion trends of the upcoming season to acute social problems. Thus, a few days ago, one of the French TV channels showed the designer’s comment on the false accusations of the fashion industry of spreading anorexia among modern women. He considers such an interpretation of the problem ridiculous and adds that fast food in front of the TV and obesity are much more dangerous problems. 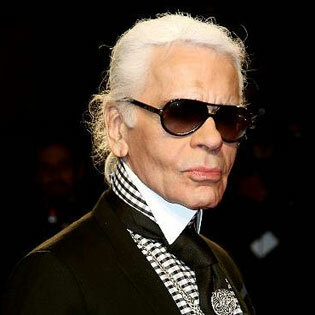 Answering the question whether he feels the responsibility for promoting healthy standards of beauty, Karl Lagerfeld said he considered accusing designers of promoting anorexia ludicrous. According to him, no one in the fashion industry will offer a job to girls with anorexia. Unhealthy thinness has nothing to do with fashion. Anorexia comes as a consequence of a mental disorder that is usually associated with teenagers’ having problems in the family. It is not a fashion trend. Karl Lagerfeld thinks overweight to be a far more vital problem, which affects a large part of the young generation. Anorexia is a problem of less than one per cent of women in France. No one wants to pay attention to the fact that more than 30 percent of the French are overweight. The designer is sure it is not good for health. The models one can see in magazines are slim, but not skinny. For example, he suggests looking at Saskia de Brauw, a new person in the catwalk industry. Of course, she is not 15 years old, and she can not be called skinny. But if Twiggy had appeared on the catwalk today, she would have been unanimously called too skinny. Thinking about the sensitive and very controversial, but no less burning issue of eating disorders, which include not only anorectic fear of food, but also bulimia and obesity, we will not support any extreme opinion. Furthermore, placing these diseases on the same level and giving them equal importance, one can add to this list “orthorexia” – an obsession to constantly study the package labels in the supermarket and eat only organic foods, such as grown grains and meltwater. Health professionals have sounded the alarm, trying to revive an army of the girls, whose dying they can witness and whose bodies do not take food. At the same time, cardiologists write packs of medical prescriptions for schoolchildren, who have problems with the cardiovascular system and whose weight surpasses all imaginable limits. The fashion industry is now called one more source of the problem of mass eating disorders. Glossy magazines are rich in the images of ideal model figures that are difficult to recognize after the use of Photoshop. These magazines could not have failed to affect our relationship to our own weight. However, can these magazines and catwalk shows be blamed for this? “Fashion” diseases have been the plague of all time. Medieval beauties drank water with iodine in the evening to look like Eastern beauties. It caused Graves’ disease, the symptoms of which are swollen neck and eyes. In the 17th century, there was a fashion for deathly pallor, and one would use vinegar to cause stomach ulcers. In the 19th century, transparent muslin dresses that young ladies used to wear in extremely cold months led to an epidemic of pneumonia among the then fashionistas. 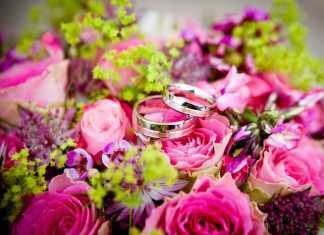 It is needless to say that funeral was one of the most common reasons to go out at that time. There were no catwalk events, no glossy magazines at that time, and Karl Lagerfeld had not been born yet, but the standards of beauty proved to be a haunting idea. So is it here that we should look for the roots of the today’s food hysteria, whether it is anorexia, bulimia, orthorexia, or another extremity – obesity? Let’s look at the origin of the problem and search the answers in the principles of our time and in the availability of everything, ranging from the free choice of sexual orientation to the serving size at McDonalds. And until we find the solution, let’s do morning exercises and join gym classes. It will be of no harm for overweight people as well as for the thin. Victoria's Secret for V: Angels or Devils?